TimeTrak delivers a powerful mobility solution that enables you to quickly take photos and upload to the Job. 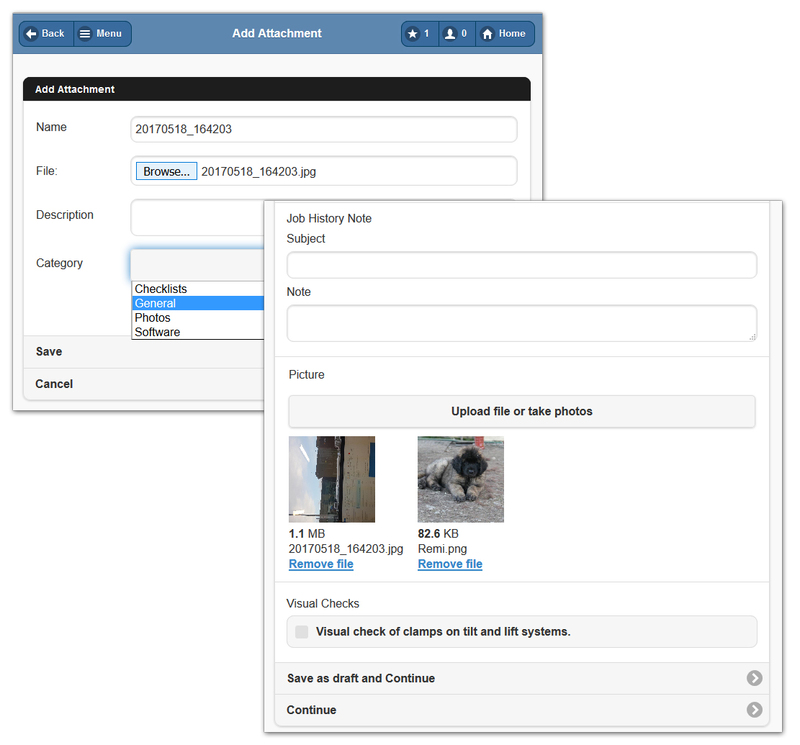 Photos are saved to the job in real-time eliminating the need to workout what photos are to be loaded onto what job when you get back to the office, and assisting your business with keeping more accurate records of jobs. TimeTrak allows you to add any kind of attachment from the Job Details screen. Simply select attachments, then browse for a file, select the category and save it to the job. Checklists are a versatile feature of TimeTrak that allow you to monitor the progress and safety of your team. A field technician can fill out a checklist (that can either be a standard checklist created for you or any you have designed yourself), enter information, upload photos, and then once completed will be immediately sent back to the office and stored against the job. While out on a client site, the team can upload multiple photos directly to the Job. For example, the field staff can take photos before and after the job is completed. It isn't just photos that can be uploaded in TimeTrak, your team can upload files, photos, checklists plus more to jobs or clients, allowing you to keep all relevant information together. TimeTrak is a mobile solution that allows your team to take new or archived photos to the field with you. You can scroll through the photos that have been taken on the job on any mobile device or on a desktop back in the office. This is a great way to document works in progress and can be used as a reference of previous jobs.